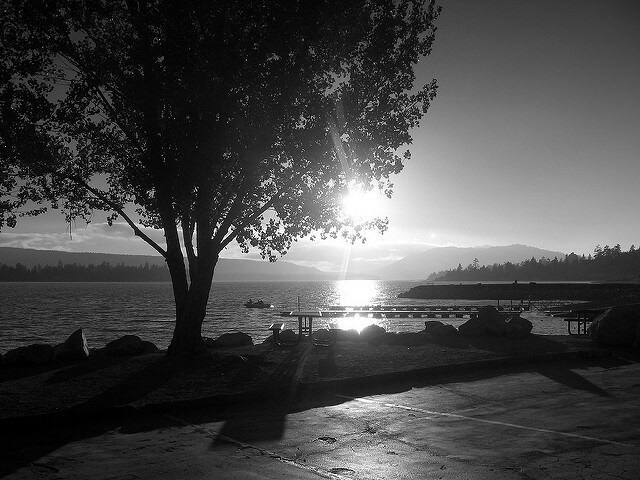 For millions of people in Southern California, Big Bear Lake offers a pristine alpine refuge and the perfect place for a weekend or week-long getaway. Just a two-hour drive from Los Angeles, Big Bear Lake and the mountains around it offer relaxation, rejuvenation and lots of interesting things to do. Your Big Bear getaway will likely need a “home base” at one of the hotels in Big Bear, probably along or near Rt. 18 — also known as “the Rim of the World Highway” or, in town, Big Bear Boulevard. Fishing. The cold water from the mountain snowmelt supports a large number of sportfish — trout, bluegill, crappie, catfish and largemouth bass. It also has a carp problem, but annual “carp roundups” and “no limit” carp fishing helps keep the population of this invasive species under control. Boating. You can bring your own boat (launching it at one of the two public launches at the east and west ends of the north shore) or you can rent one from one of the marinas. There are some exotic craft to choose from, too — a 24′ pontoon float boat for easy exploration of some of the coves; one- and two-person kayaks (great for exercising your core or wearing out your kids! ); a dinner cruise on the Big Bear Queen; a ride on a New Zealand jet boat; a harbor tour on the actual pirate ship used in the movie Time Bandits; and jet skiing (for those who desire “hands-on” speedboating). Parasailing. Big Bear Parasailing, at Marina Resort, gets good reviews. Solar Observatory. Big Bear Lake is home to the country’s only alpine solar observatory — using the elevation and location in the lake (which is cool and has no heat reflections). It is presently closed to the public, however. Skiing and Snowboarding. There are two ski areas, Bear Mountain and Snow Summit. Check out the half pipe for special thrills, and “innertubing” can offer fun for the whole family, requiring less skill than skiing. Hiking. Here is a list of Big Bear area hiking trails, with directions, gps, maps, etc. Sky Chair. During the summer you can ride to the top of Bear Mountain in the Sky Chair (also known as the ski lift). Biking. Biking is popular up and down several dedicated mountain paths and along ridge trails, and the list of biking trails is similar to the one for hiking trails above. Be sure to take the “Town Trail” from Snow Summit west to Knickerbocker Road to look over the whole town and lake. Zipline. Flying Bear Zip Lines offer zipline tours of the area. Zoo. There’s a zoo near Bear Mountain Resort. Horseback Riding. This amenity is offered in the nearby Baldwin Lake area. Golf. The Gold Mine (Bear Mountain) Golf Course is located at Bear Mountain Resort. Events and Festivals. Big Bear Lake is home to several great annual events, including a New Year’s Torchlight Parade (down the ski slopes on New Year’s Eve); the Classic Car Review (May); Independence Day Festival (July); Oktoberfest (October); and the Mountain Christmas Boutique (offering arts and crafts in November). We hope you enjoy your Big Bear getaway. Find a good place to stay. Rest and breathe that fresh mountain air … shake off your stress … and enjoy some of nature’s finest in Southern California’s only four-season vacation destination.